Following the debut of the 6.12 cycle and the Dark Star skins yesterday, a small update containing new esports summoner icons and balance changes has been pushed to the PBE! 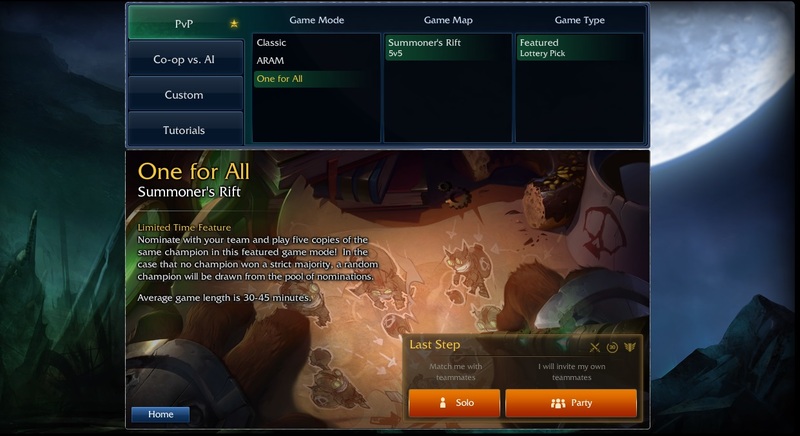 The One for All gamemode is now back on the PBE for addition RGM queue testing! One For All is back, and as One For All-y as ever! Taliyah is now fully compatible with One For All! Taliyahs will only be able to see their own worked ground on their team, while enemies will see all of the worked grounds. We're always looking for new bugs to fix, so if you find bugs while you're playing, feel free to report them here! And if you have feedback, drop a comment below!" Nimble Fighter (Passive) no longer ignores unit collision. Effect now persists through death.